Indian River County adopted and initiated regulations for short term vacation rentals on June 21, 2016. The following document provides an outline of the County vacation rental regulations, a State guide to vacation rentals, the County vacation rental license application, and short term vacation rental Ordinance 2016-006. Updated monthly, the Expenses Update lists the actual expenses for Indian River County for the All Aboard Florida and Vero Electric/FMPA issues. 35th Avenue between 45th Street and 44th Street - A contractor will close the roadway of 35th Avenue between 45th Street and 44th Street on Monday, April 1, 2019 at 9:00 AM. The road will re-open at 3:30 PM. Access to property owners, as well as emergency access, will be maintained at all times. A detour will be posted. Construction work will be performed. BCC - Tuesday, April 16, 2019 at 9:00 a.m to consider the adoption of a county resolution for the disposition of 2019 county owned surplus lands for affordable housing. PZC - Thursday, April 25, 2019 at 7:00 p.m to consider recommending the adoption of a county ordinance amending the text of the comprehensive plan. PZC - Thursday, April 25, 2019 at 7:00 p.m to consider recommending adoption of two proposed ordinances. 1. An ordinance to amend Ch 926.06,, Landscape Material Standards. 2. An ordinance to ammand ch 971.12(3) Self Service Storage Facilities. Friday May 3, 2019 at 9:00 A.M. St. Lucie County Community Services 437 N. 7th Street, Fort Pierce, FL 34950. The Treasure Coast HOME Consortium will conduct a public hearing to receive input on its 2019/2020 Action Plan to be submitted to the U.S. Department of Housing and Urban Development. The Plan outlines priorities for the use of approximately $590,000 in federal funds for affordable housing in the upcoming program year (October 1, 2019 – September 30, 2020). The purpose of the hearing is to listen to residents' views about the housing needs, as well as gather ideas for activities the Consortium should consider funding in the next program year. The Federal Emergency Management Agency (FEMA) has received the subgrant application for Indian River County's Spoonbill Marsh road repair due to damages in Hurricane Irma (DR-4337-FL PW 5967). Pursuant to Executive Order 11988 and 44 CFR Part 9.12, final notice is hereby given of FEMA's intent to provide funding for this project under the Public Assistance (PA) Program. View the full public notice. The Federal Emergency Management Agency (FEMA) has received the subgrant application for Indian River County's Vero Beach boardwalk structure repair due to damages in Hurricane Irma (DR‐4337‐FL PW 05081). Pursuant to Executive Order 11988 and 44 CFR Part 9.12, final notice is hereby given of FEMA's intent to provide funding for this project under the Public Assistance (PA) Program. View the full public notice. On November 7, 2018, maintenance of the fire hydrant system in Indian River County began and will continue until September of 2019. The work in the north part of the County is nearly complete and the work has now moved into the central part of the County, which starts around 65th Street. View the full public notice. 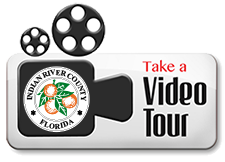 Closed captioned videos of the Indian River County Board of County Commission and Planning and Zoning Commission meetings are provided on the Indian River County YouTube channel. During the months of January, April, July, and October of each year, Indian River County will accept applications for amendments to its Comprehensive Plan for any person wishing to change the text of the Comprehensive Plan and/or the land use designation of his or her property, as depicted on the Comprehensive Plan's Future Land Use Map. The County’s Public Records Custodian is Sandy Wright. For questions concerning public records requests and searches, please visit www.ircgov.com/Public-Records.htm. Indian River County is a member of the Florida Association of Counties and the National Association of Counties, which lobby on behalf of their members. Indian River County also employs Anfield Consulting to provide State lobbying services. Please be advised that the Indian River County Board of County Commissioners' services operate according to the Title VI Regulation, 49 CFR, Part 21 which states: NO PERSON OR GROUP OF PERSON SHALL BE DISCRIMINATED AGAINST WITH REGARD TO ANY OF ITS PROGRAMS, SERVICES, OR ACTIVITIES ON THE BASIS OF RACE, COLOR OR NATIONAL ORIGIN. If you are using a screen reader and are having problems using this website, please call Scott Johnson at 772-226-1391 or send an email to webmaster@ircgov.com for assistance.